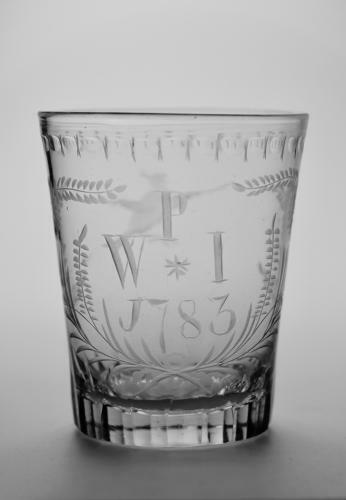 Tumbler engraved oxo border with the initial WP I and dated 1783 within a floral cartouche. The reverse engraved bird in flight. English 1783.